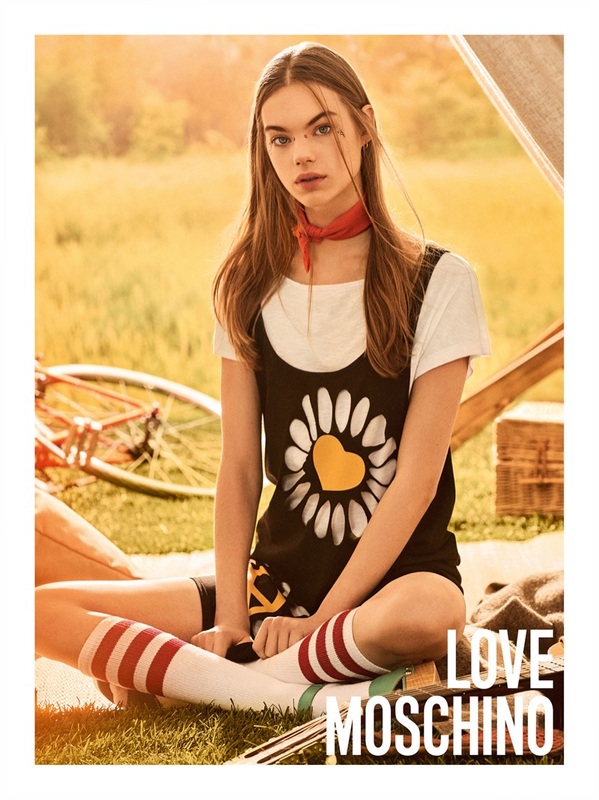 For the Spring/Summer 2017 season, Love Moschino brings a cool campaign, and heads outdoors to show flower power. 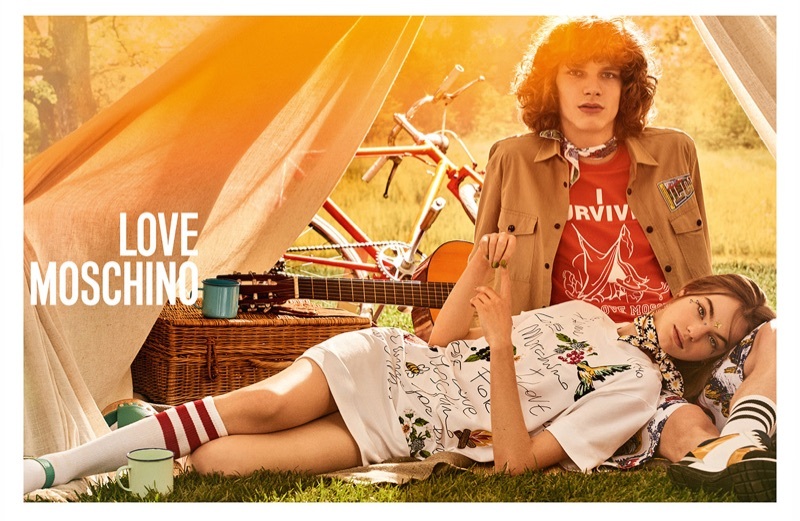 Enlisting models Estella Boersma and Erik van Gils, the fashion label takes the models into the sunshine, and gets them photographed by Giampaolo Sgura. 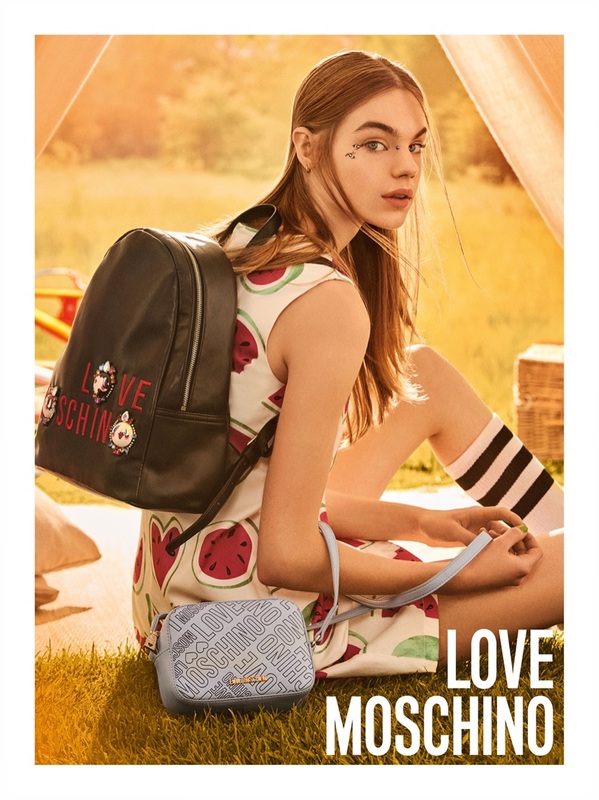 Wearing laid-back and casual chic styles, that will mostly appeal to the youth, Love Moschino offers t-shirts, striped designs and shirt dresses. 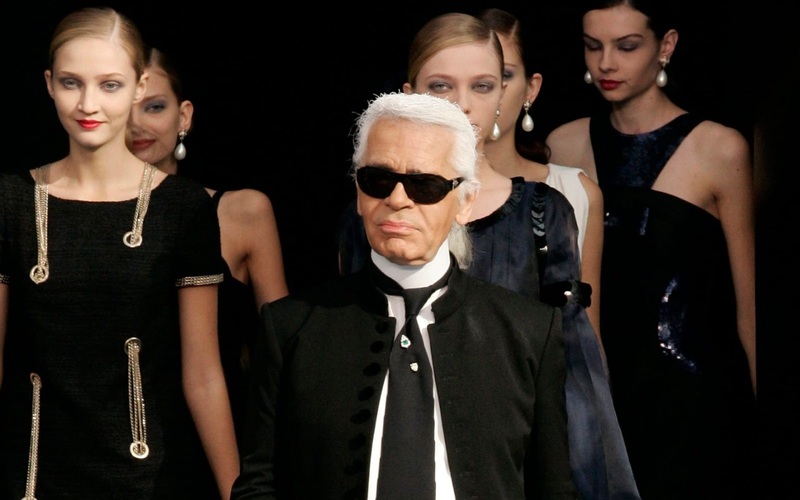 Perfect for the summer, the designs have hints of the 60s and 70s, and have a certain bohemian flair to them too. The designs have fun summery prints and patterns on them such as watermelons, the peace sign and colourful illustration, and are an ode to carefree style and fashion.